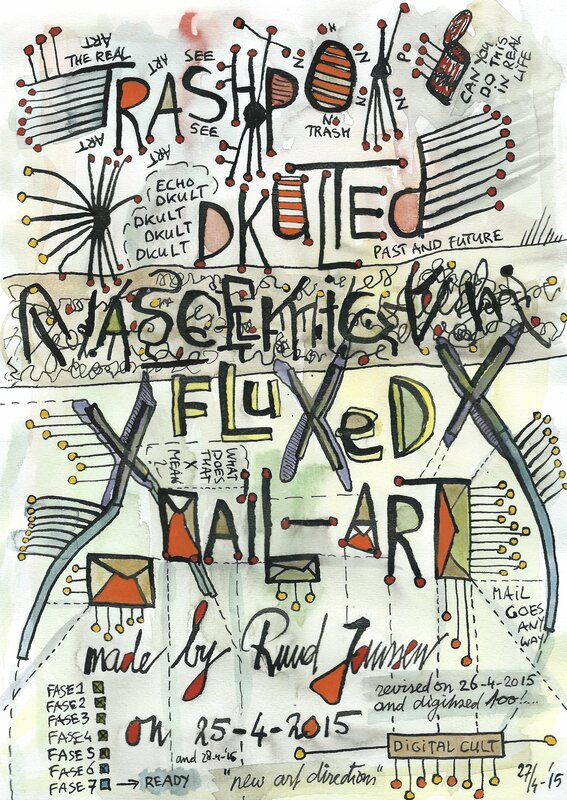 Outgoing Mail-Art – Page 18 – iuoma.org – Interested in Mail-Art? 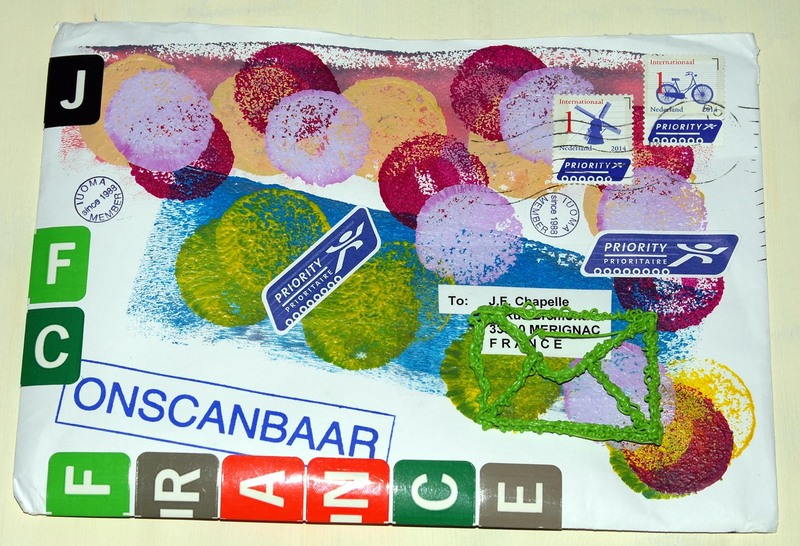 For this mail-art project I sent in a few special enveloppes, because I like the subject. The digital world makes everythuing so easy that we forget sometimes what the consequences can be. 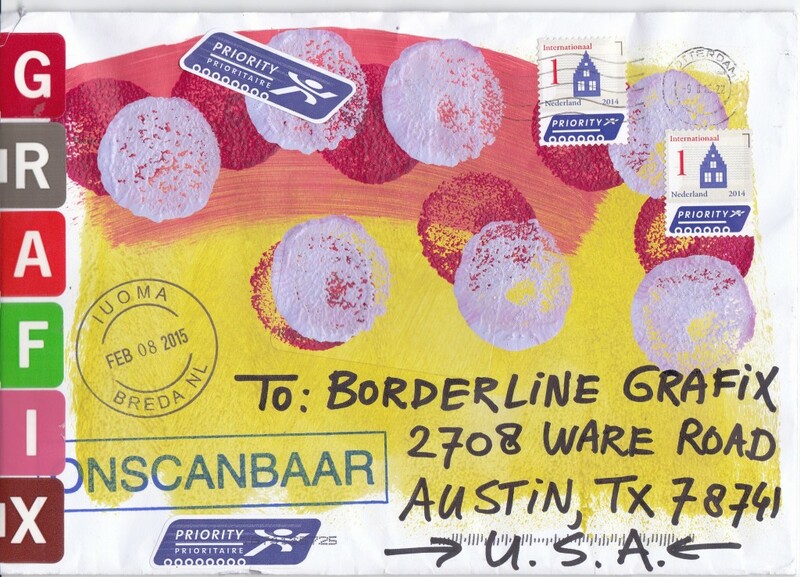 This enveloppe was sent to J.F. Chapelle in France. 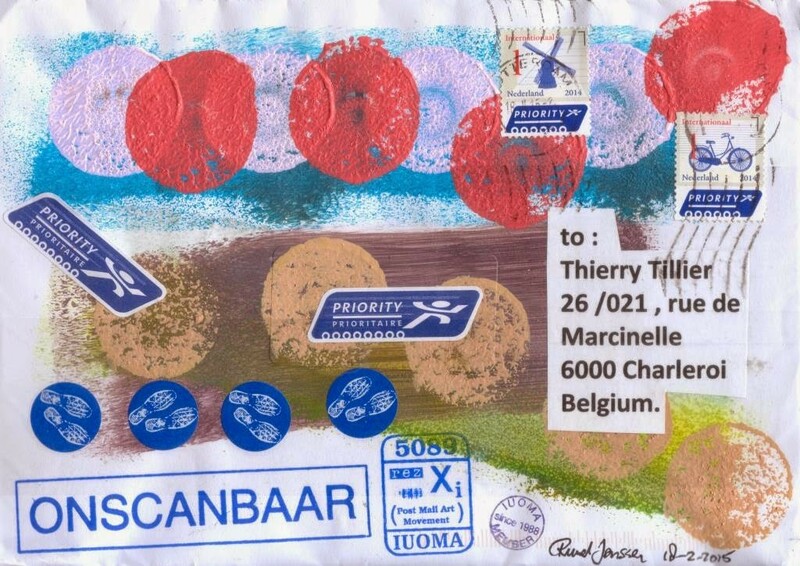 beside the stickers on the enveloppe I also included a handmade envelope that I made with my 3D Pen. Plastic can be used to make your own one-of-a-kind objects. 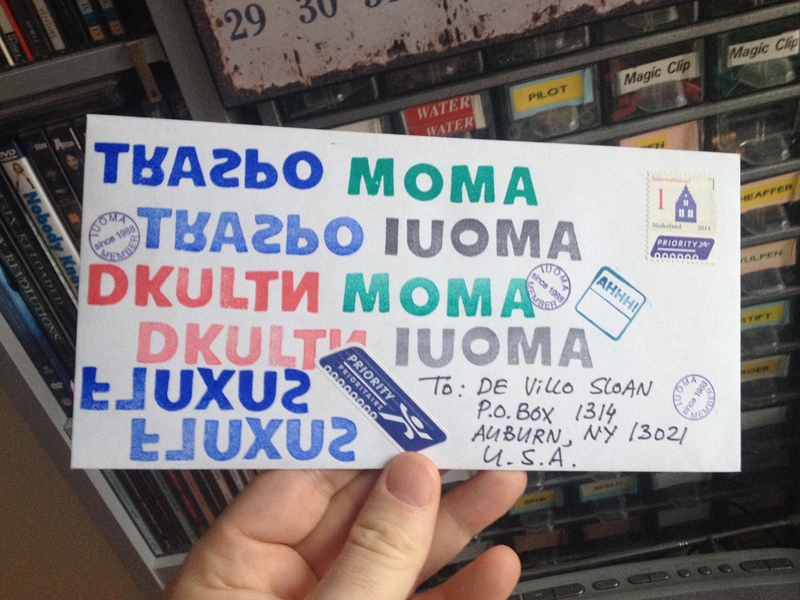 Sample of a series of envelopes I sent oiut in the years 2014-2015. Letterstickers are places as last addition. Acrylic paint in layers on the envelope. 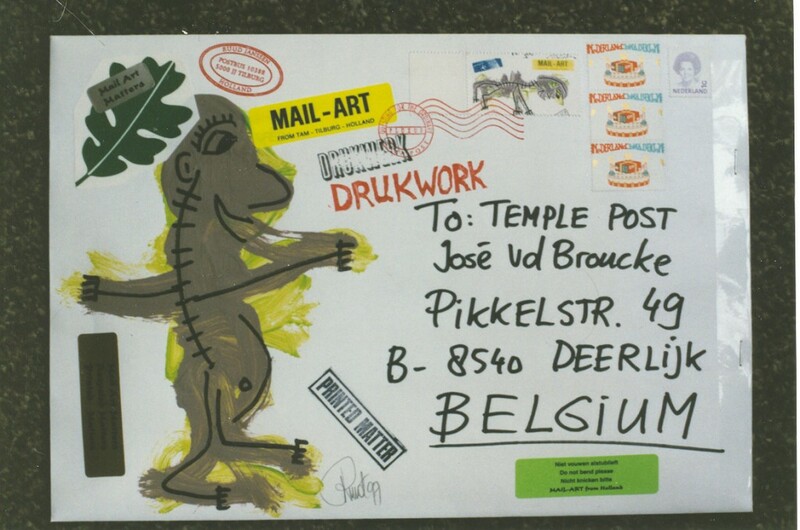 One of the older envelopes that I sent out to José vanden Broucke in Belgium. I already worked a lot with acrylic paint then. 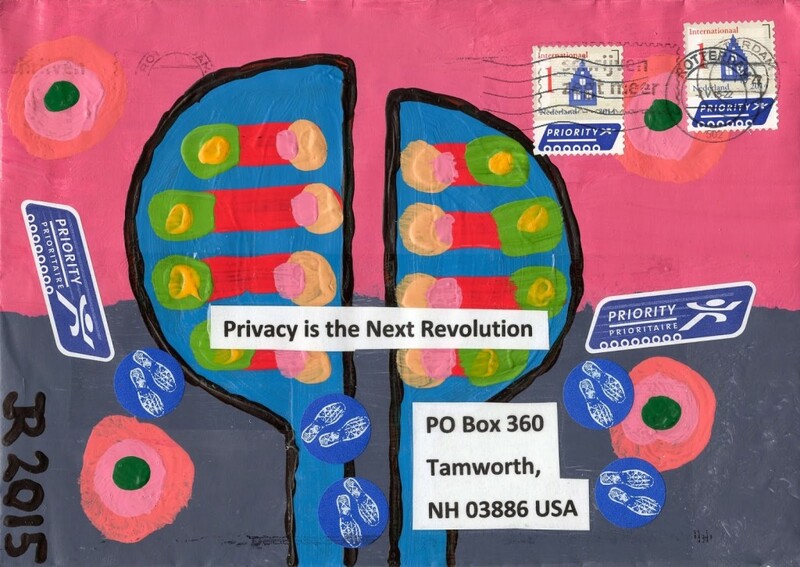 If you are interested in seeing more outgoing mail-art I suggest you Google for my name and the subject you look for. The complete set I sent out is thousands of envelopes large and is all over the earth. I documented a lot to in digital form and that is placed on blogs that were started over the years. See for a good start the old IUOMA blog that is hosted at blogger.